And Why He should be every young fatherless kid’s Role Model. I use to say: “I could throw for 400 yards a game with these two guys“. I, without hesitation, consider Jerry Rice the greatest Football player (at any position) and perhaps the greatest athlete ever. He didn’t use Steroids. But he did put two quarterbacks in the Hall of Fame. 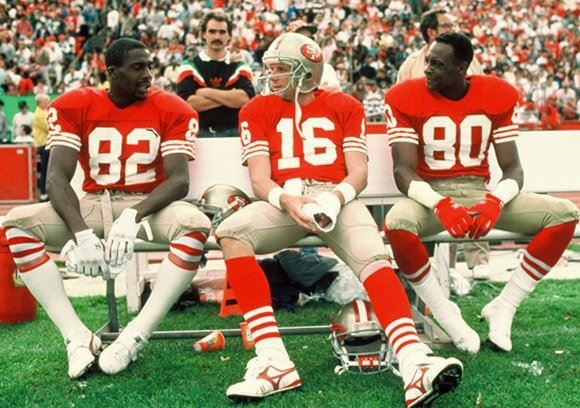 In the late 80s and early 90s, I was on a first name basis with most of the Dynasty 49ers. 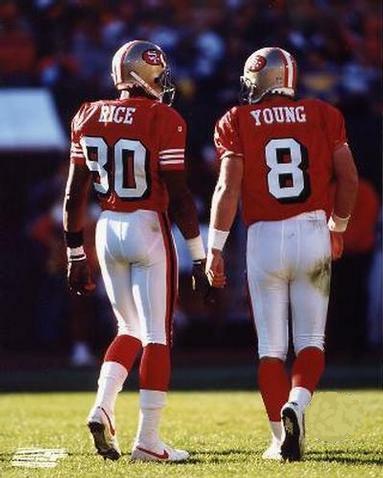 Ironically, my two favorite niners, Jerry Rice and Steve Young, I never got to meet. But I heard stories about Jerry Rice. It amazed me how both Montana and Young would never hesitate to throw into 3 man coverage with confidence that Rice would come down with the completion. Jerry broke records that will remain his for a long time. One reason was his dedication to his workout program. Complacent was not a word in Jerry’s vocabulary. He would practice relentlessly which ruined many a first round draft picks that the niners wasted on Wide Recievers to replace either Jerry Rice or John Taylor. Example: J.J. Stokes – He was assigned to Jerry Rice to learn Rice’s workout routine. Stokes could not keep up with the veteran exactly 10 years his elder. (Rice born in 62, Stokes born in 72). Rice was simply dedicated. He didn’t have goals of being the “Greatest” ala Mohammed Ali or Rickey Henderson. He just did his job in a steadfast humble fashion. Only once did Rice ever get involved in a controversy and that was when Joe Montana was nearing the end of his career and was being offered local commercial offers. Rice felt he was being over looked because he was black and not flamboyant like Dion Sanders or Michael Jordan. The truth was that Montana had done commercials earlier in his career which is how he met his wife Jennifer. (In a Gillette commercial). Also; Rice was the greatest on the field, but not on the screen. 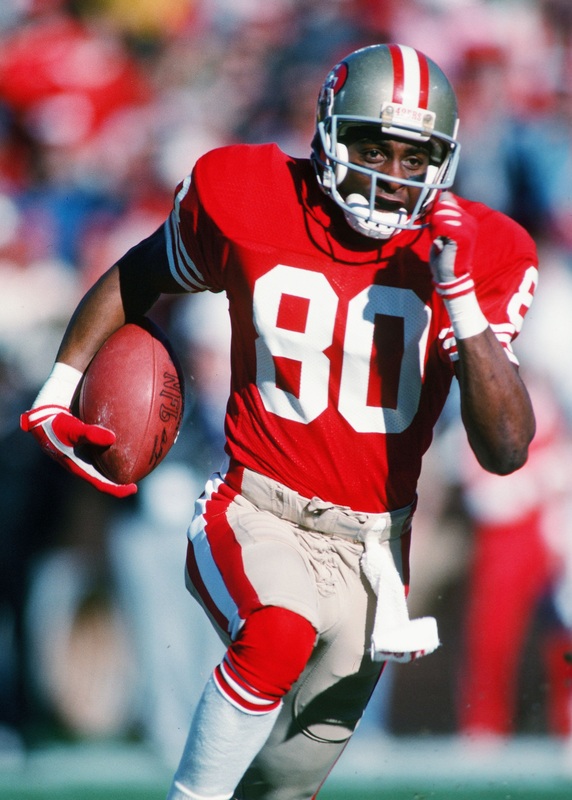 Being the classy gentleman that Jerry Rice is, he went back on the field and proceeded to shatter football records. 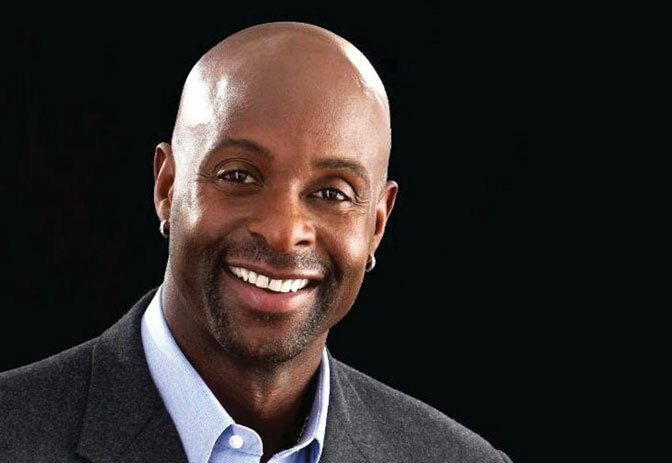 Jerry Rice should be a role model for those who don’t have fathers in the household. His story should never be forgotten. Recently I posted a video of Itzhak Perlman and called him the Jerry Rice of music. Those who are truly great never concentrate on greatness. They concentrate on always doing better. They practice until they can’t practice any longer; then they give it one more shot. Anyone can learn a lesson from #80.